The EGO POWER+ Chain Saw truly delivers Power Beyond Belief™. The 16" bar and chain, combined with a high-efficiency brushless motor, provides effortlessly smooth cuts. The EGO POWER+ Chain Saw truly delivers Power Beyond Belief™. The 16" bar and chain, combined with a high-efficiency brushless motor, provides effortlessly smooth cuts. The brushless motor extends both the life of the tool and the run time. 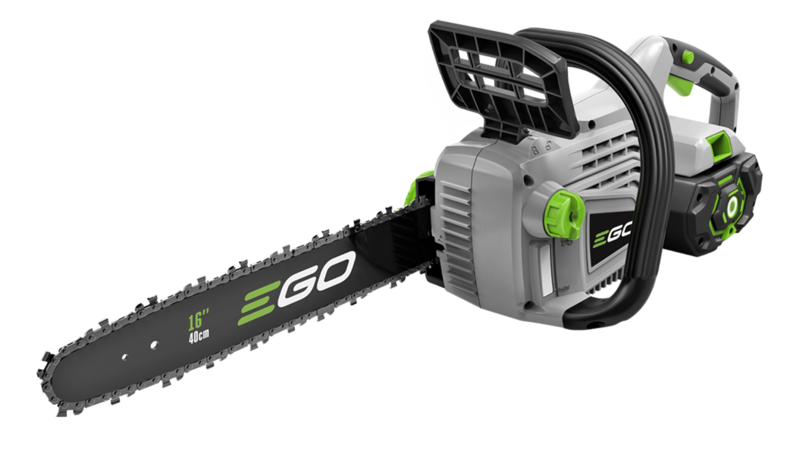 The EGO POWER+ Chain Saw delivers the performance of gas without the noise, fuss and fumes. Compatible with all EGO POWER+ ARC Lithium™ batteries (available separately) to deliver Power Beyond Belief™. Maximum Cut Diameter: 16 in. 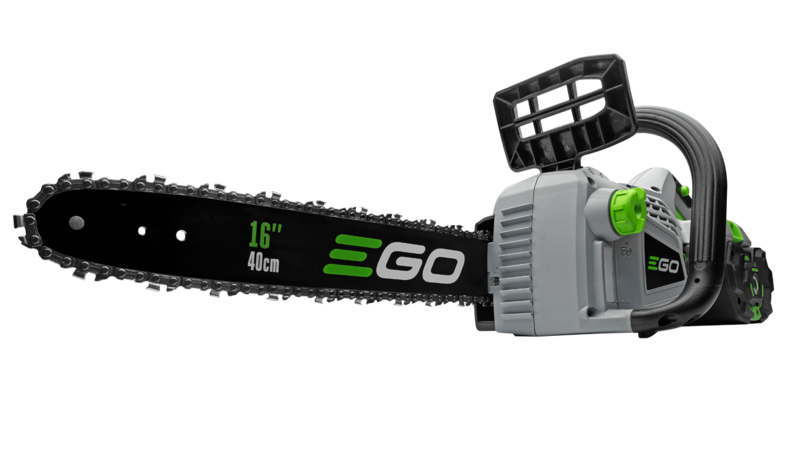 The EGO 14" Chain Saw truly delivers Power Beyond Belief™. The 14" bar and chain provide effortlessly smooth cuts. The brushless motor extends both the life of the tool and the run time. This chainsaw has completed exceeded my expectations! I purchased it just to use around the property and it has impressed me thus far. If for some reason I needed to purchase another chainsaw I'd get the same one! You can use either EGO chain (model AC1600) or an OREGON® chain (model: 90PX056X).